Hi there, Merrick from Merrick’s Art here! I’m a total list maker, and about a year ago I discovered that writing a physical to-do list each day was one of my favorite things to do. Crossing off my daily tasks is one of the most fulfilling experiences for me, so being able to open up a notebook and cross off a task with a real pen all day long is the best. Also, having an actual list keeps me off of my phone (where I used to store my to-do list) during work time, and keeps me on task so I don’t waste quite as much time. Because I’m a perpetual list maker, I’m always on the hunt for notebooks. Especially cute ones that make me want to write lists, and check them off. 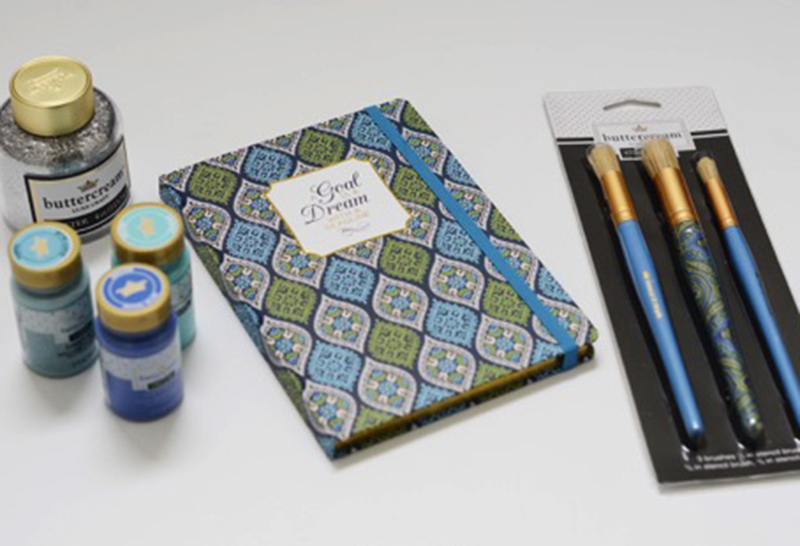 So today I’m sharing a super easy embellished notebook DIY with the new line of gorgeous Buttercream™ products from JOANN. The fun part about this project is that you can be as creative as you want — make your own stamp, or buy a fun one. Use a stencil. Play with glitter. Tape off areas to keep the original color of the notebook and then peel off the tape later to reveal a pretty contrast. 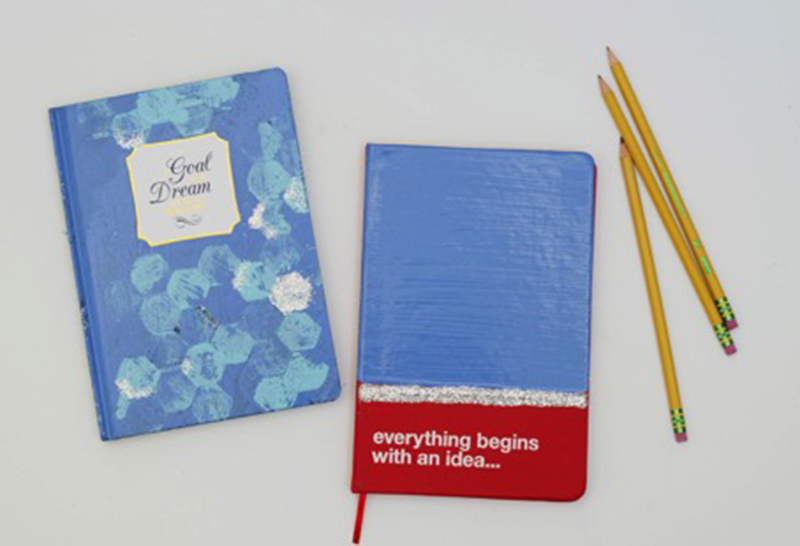 The options are limitless, and it’s the perfect way to personalize your child’s school notebooks as well! 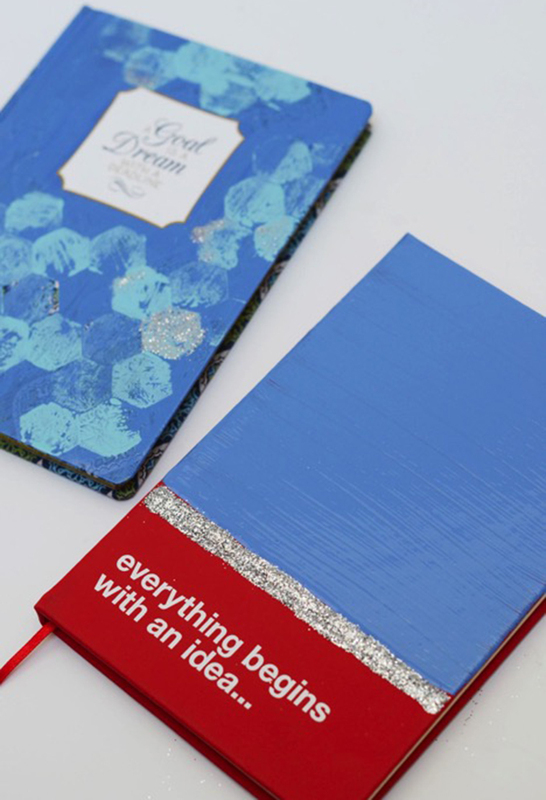 For this one, start by painting the entire notebook one color. 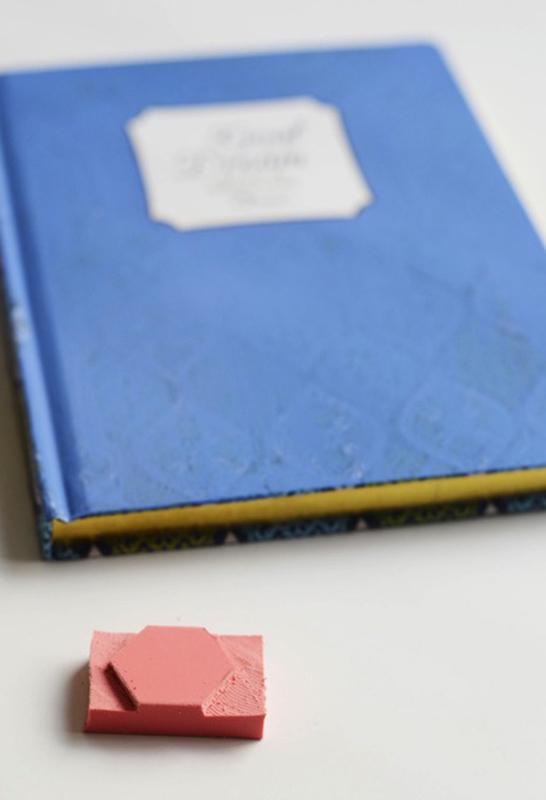 Then use a pink eraser and an exacto knife to cut a hexagon stamp. Carefully stamp in the pattern you’d like, all over the notebook. I liked the look of some dark areas and some light areas. Then embellish with glitter to add a little extra sparkle. For the second one, draw a line of craft glue and cover with glitter. 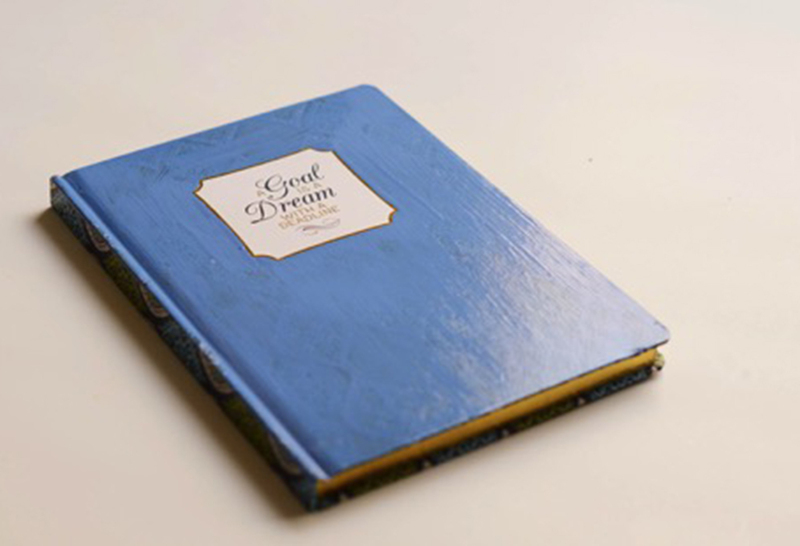 Once it’s dry, paint the rest of the notebook whatever color you’d like. So easy! Get creative, express your personality, and have fun!